The holiday season is fast approaching, complete with delights and disappointments, merriments and meltdowns. What a blessing and responsibility it is to introduce the beloved story of Jesus’ birth to your child. Claim this holy work! As a mother, you are an Experience Architect for your child, scheduling the activities, gifts, people, food and more that make up your family’s Christmas traditions. Try some of these ideas to design memorable and meaningful experiences for your family. Baby’s First Christmas: Step away from the activities that disrupt baby’s schedule (and your own sanity). Create experiences that begin building faith-based Christmas memories. Plan quiet retellings of the Christmas story from the children’s Bible Frolic First Bible. 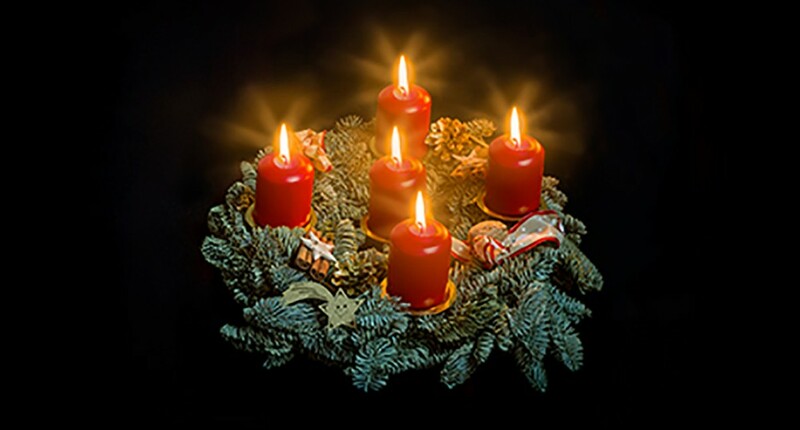 Listen to Christmas music in a room lit only by candles and lights on the tree. Look at a nativity set together and tell your child about the people and animals in the stable. Toddler Time: As toddlers gain independence and language, their shouts of “Mine!” and “More!” can drown out even the loudest heavenly angelic chorus. Create experiences that teach about the Christmas story and Christian values. Read the Christmas story together, then reenact it with nativity set characters. Make this a tradition so your child will never remember a time when you weren’t telling the story. Plan simple ways that your child can show generosity by helping serve a holiday snack, making a piece of art to give a loved one, or recording a video to share with a faraway friend or relative. Plans for Preschoolers: Preschoolers can experience wonder and delight at the story of Jesus in amazing, faith-filled ways. But they need us to design the experience so they don’t get overwhelmed by holiday obligations. Read the Christmas story, then ask them to retell it. See what details your child remembers and emphasizes. Keep in mind they are remembering a story that will stay in their hearts for a lifetime. Give your child a few choices of how to help others, then take their lead. Could you donate food to a food pantry or make cookies for a neighbor? While some nonprofits offer some global opportunities for Christmas generosity, keep your family’s efforts local so your child understands who is being helped. Plan special family time. A meal eaten by candlelight or a time of singing together and sharing memories can speak to the importance of the holiday and to your family’s faith life. As a mother, you have the opportunity and privilege to design experiences for your family that embodies the heart of the Christmas season – the birth of Jesus. Dawn Rundman has a Ph.D. in Developmental Psychology and is the Director of Product Development at Sparkhouse. Dawn’s MOMcon 2016 workshop Your Child’s Plastic Brain was attended by 500 moms, learning that everyday faith moments with their little ones can build new neural pathways in their brains. Dawn lives in the Twin Cities with her husband/prom date, Jonathan, and their two children.